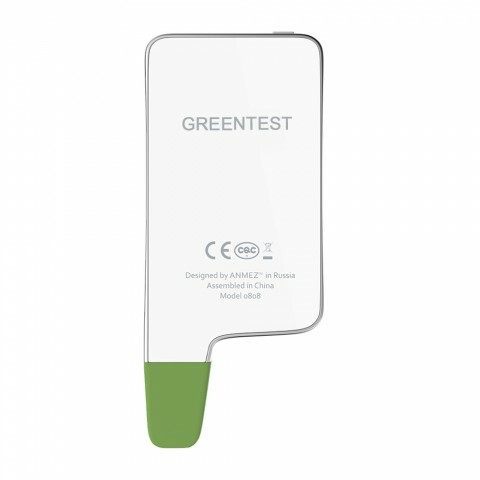 GreentestEco5 is a unique food nitrate (Fruits, Vegetables and Meat), water hardness and radiation testing device. 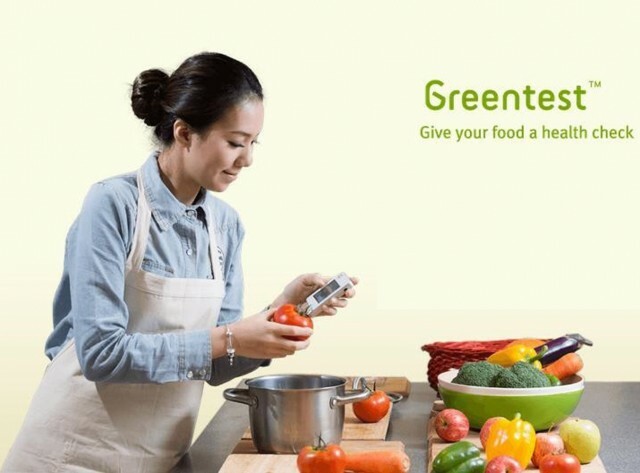 Developed using the latest in nitrate, water and radiation testing technology, the innovative GreentestEco5 detects nitrate levels in 64 of the most commonly consumed fruit and vegetables as well as all types of meat. 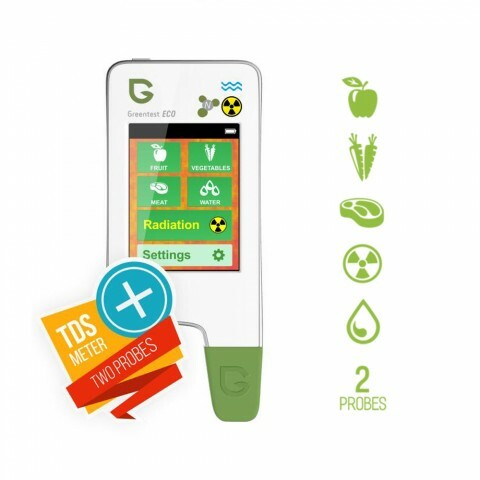 Additionally, GreentestEco5 detects total dissolved solids (TDS) in water (or water hardness), as well as background radiation in your immediate environment alerting you to unsafe radiation exposure. GreentestEco5’s unique rapid analysis feature can tell you in just 3 seconds if your food, water or environment is harmful to your health. 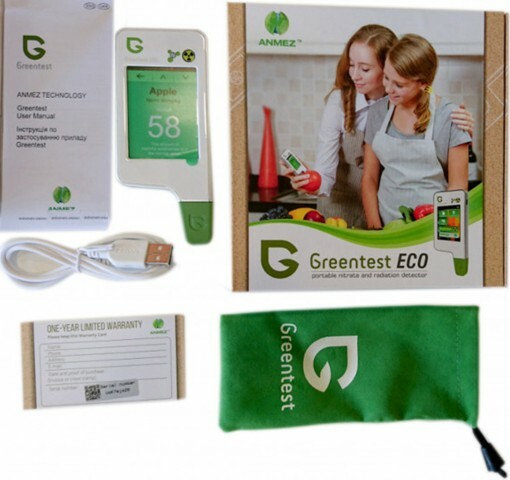 - Portable, compact and lightweight: GreentestEco5 is designed with your convenience in mind. The compact and lightweight device is small enough to fit into your pocket or easily carried in your bag to take with you wherever you go. - Easy to use interface: GreentestEco5’s high-resolution colour display provides an easy to use interface. It’s unique and intuitive nitrate and radiation-testing software allows you to quickly view the quality and safety of your fruit, vegetables, meat, water and immediate environment. - Fast and accurate results: GreentestEco5 displays your nitrate test results in just 3 seconds with less than 10% margin of error. 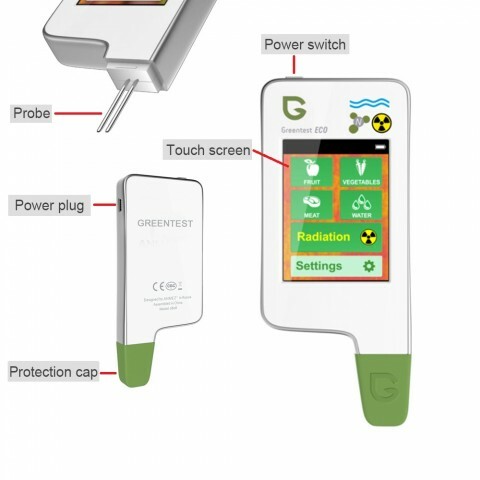 Within 10 seconds GreentestEco5 will display your radiation test results. - Dual test probe: The unique dual test probes are easily inserted into fruit, vegetables and meat to test for nitrate levels while causing the least damage to your food. Alternatively hold the probes in standing water to test the TDS level of water and determine the quality and safety of your drinking water. 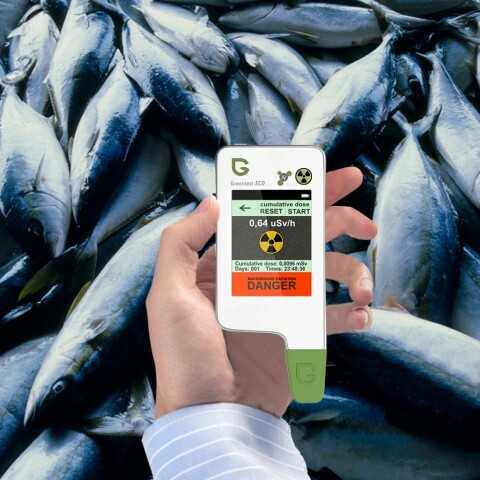 - Radiation detector: GreentestEco5 includes an innovative internally located Geiger-Müller tube allowing the device to accurately measure the background radiation in your environment. - Long battery life: The rechargeable 720mAh battery provides up to 20 hours of usage time and can be easily re-charged using the USB charger provided with the device. - Modern design: Available in a white easy-to-clean casing, providing a look that is not only modern and professional but also practical for every day use. - Operating temperature: 0 – +60 °С.